Our reaction to difficult people can cause us to lose business. This seminar will help your team better understand themselves and the people around them. 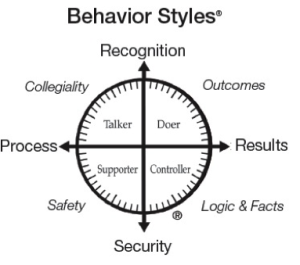 They will learn the skills necessary to identify other’s behavioral styles and ways to relate the them to increase the chances of a successful interaction. When we know how to relate to our clients we understand them better, which leads to greater sales and service opportunities. 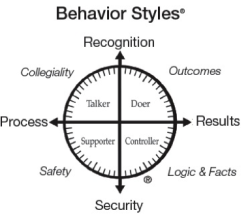 Participants will take a Behavioral Styles Assessment and receive a detailed report on how to interact more effectively with clients with different behavioral styles, creating greater synergy with them and increasing the opportunities to understand and meet their needs. Take a FREE Behavioral Styles Assessment by clicking here. For more information on Behavioral Styles, please contact us at (770) 456-5547 or visit our online contact page to send us an email.